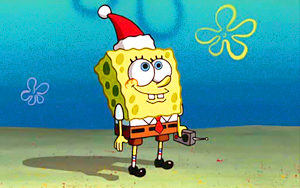 Spongebob picspam - Christmas Who- . . Wallpaper and background images in the Spongebob Squarepants club tagged: spongebob spongebob squarepants nickelodeon picspam christmas who season 2. This Spongebob Squarepants fan art might contain sign, poster, text, and chalkboard.